The letter-writing project is a wonderful opportunity for personal contact with our African gogos. About 40 women from Vernon and area are connected with gogos from Sabie in letter-writing partnerships, and there are more on a waiting list hoping to be paired up in the future. We try to write to our African partners every 6-8 weeks even though we may not receive replies very frequently. Some gogos do not speak English, and some are not literate; they have to rely on volunteers to help them. 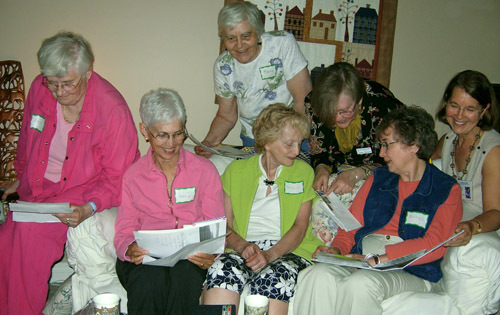 The Photo Album, Letter Writers displays a few pictures of our gogos getting letter-writing help from volunteers, as well as get-togethers of the Vernon area Grannies à Gogo sharing the pleasure of precious letters received. All letter writers are required to be a member of the Grannies à Gogo email list. We do not send money or gifts to our partner, as this will likely cause jealousy amongst the group as a whole, but they love to receive family photos, postcards, greeting cards, or stickers and drawings that decorate the letter paper. 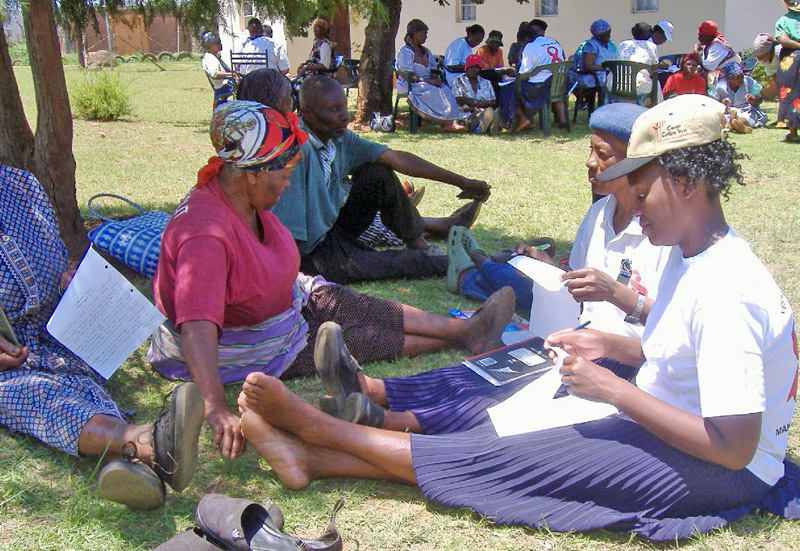 As a result of these partnerships the Vernon grannies and the African gogos are gradually discovering that, despite their wide differences in geography, culture and economic circumstances, they have many shared concerns and joys of grandchildren, health, activities and interests.